Kind of hard to believe that something like that could exist. The amount of capital it would take to haul the materials down underwater, and have a functioning environment that holds oxygen to support human life. 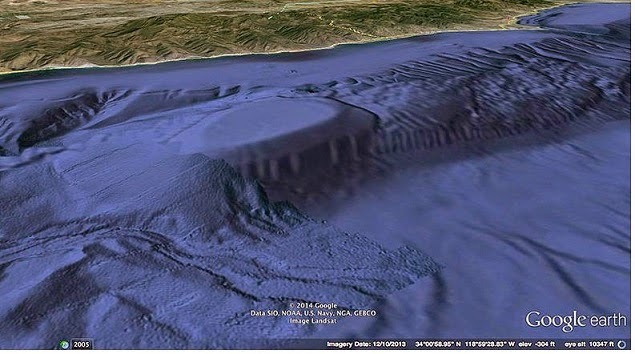 Lets look at the evidence of underwater military bases on Earth. Of course some say this is nothing more than the continental shelf. Others think there’s something more to this Google earth anomoly, and they are making plans to find out more. You see, for years there have been dozens of sighting off the coast of Malibu, CA(the coastline of the above map) of fireballs and unidentified objects floating, entering, and exiting the water.